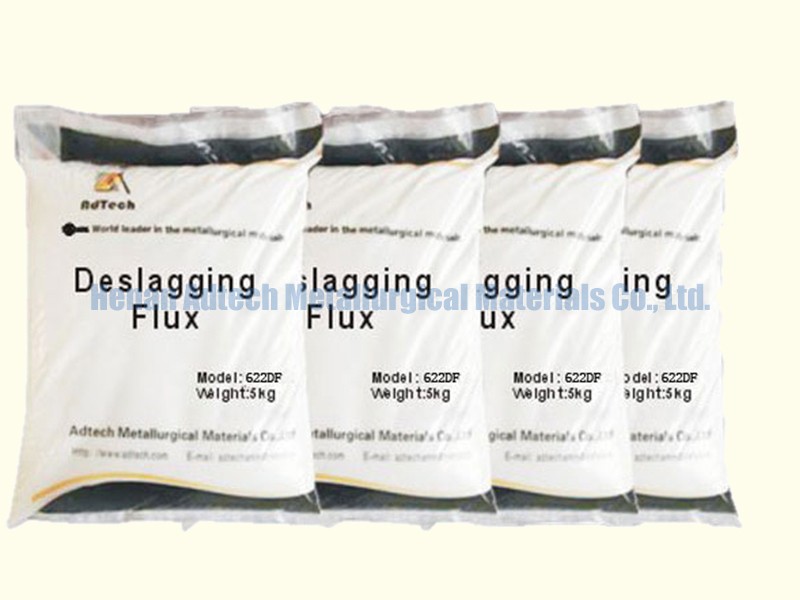 Deslagging Agent- AdTech Metallurgical Materials Co.,Ltd. Fine white ( gray) powder shaped, main components are chloride and villiaumite, and other chemical compound. Been heat and screen treatment,this product has even granularity,which is convenient for boiling kiln.Widely applied for the refining of casting Aluminum / Alloy in reverberatory furnace and holding furnace. and who carry them to surface,so that purification can be done. 1.Good Liquidity, good performance in deslagging and degassing. 2.Good purification, less pollution, less dosage, low cost. 3.Easy separation of aluminum and slag.